Write naturally, launch an app with the touch of a button, and maximize your mobile productivity with the HP Active Pen with App Launch. 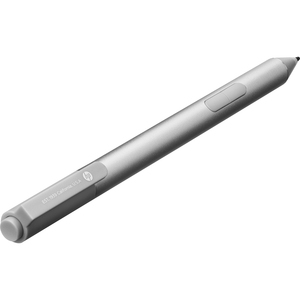 Use the pen to write or draw onscreen or interact with your touch applications. Integrated pressure sensors help you control the width of your drawn lines. Launch an app on your tablet from your pen with a programmable Bluetooth® feature that you can pair with your choice of frequently-used software. Once in range, your tablet detects the pen and cues you where to place it onscreen. Erase, highlight, and click on your content with the two convenient side buttons.